Learn new approaches for strengthening the religious bonds of our aging population! Through Scripture, studies, and the personal experiences of religious leaders and congregants, Practical Theology for Aging offers new concepts for ministering to our older population. Each chapter looks at a different concern for the elderly and addresses it with the assurance that aging is part of God's great work. From scientific models and case studies to passages from both the Old and New Testaments, this volume illuminates the power of faith in keeping the elderly whole and well. Practical Theology for Aging reveals several barriers to the spiritual wellness of our elders. These include society's stereotypical views of frailty and incompetence in older people, the lack of common support by communities of faith, and the dissatisfaction of the elderly with outdated, traditional answers to their concerns of aging, suffering, and death. Each barrier can be overcome by utilizing the practical theology you will find in this book. Restated throughout the volume is the message that the journey into old age does not have to be filled with dread and fear but can be seen as a path to spiritual maturity. This book has practical suggestions that address: God's purpose for aging why do we have to grow old? sexual health for senior citizens the suffering and physical debilitation that sometimes accompany aging afflictions like dementia and Alzheimer's disease, and how to minister to the unresponsive the inclusion of spirituality in rehabilitation to heal the whole person after catastrophic illness or injury preaching to senior citizens as opposed to preaching to a younger congregation so much more! 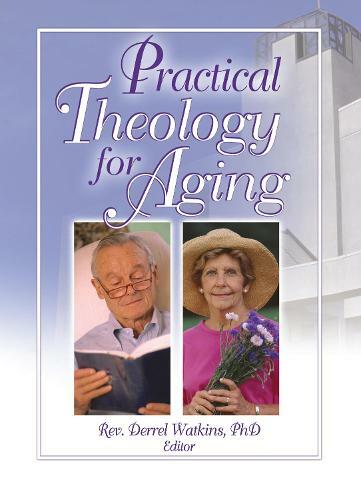 Practical Theology for Aging presents tips and strategies for spiritual advisement as well as traditional quotes and references reminding us to respect and honor our aging men and women. Whether you are a religious leader, caretaker, family member, or esteemed elder, this book is vital for strengthening spirituality in the elderly and promoting their inclusion into the religious community.